Democratic candidate for governor Daniel Biss, a state senator from Evanston. One Democratic candidate for governor is less than impressed with Republican Gov. Bruce Rauner's positive tone in this week’s State of the State address and thinks it’s a sign Illinois is ready for a change in power. 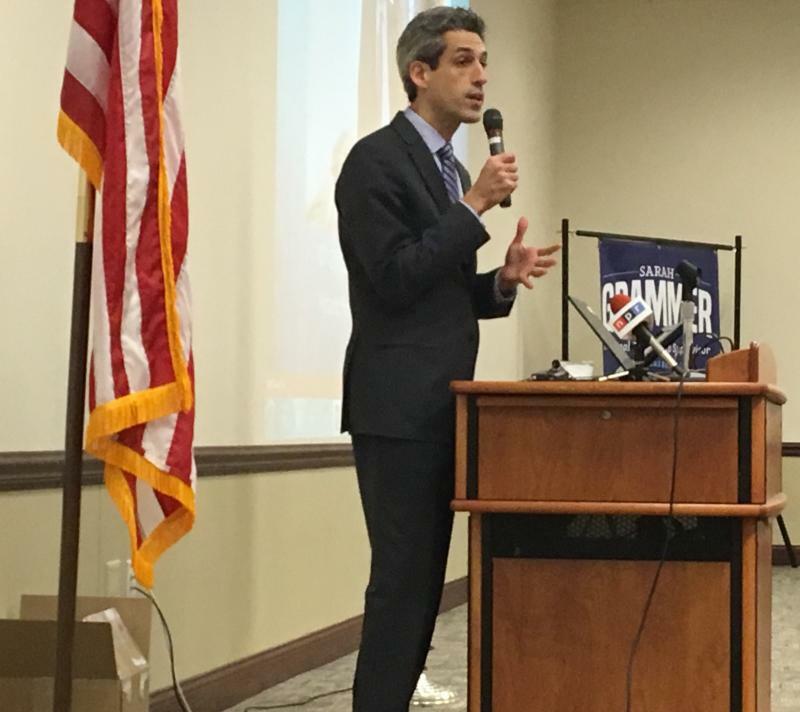 State Sen. Daniel Biss of Evanston said on GLT’s Sound Ideas that Rauner is acting as though the two-year budget impasse didn’t happen and both students and jobs aren’t leaving Illinois at an alarming rate. Biss says the tax system and the economy are largely to blame for this exodus of Illinois residents. 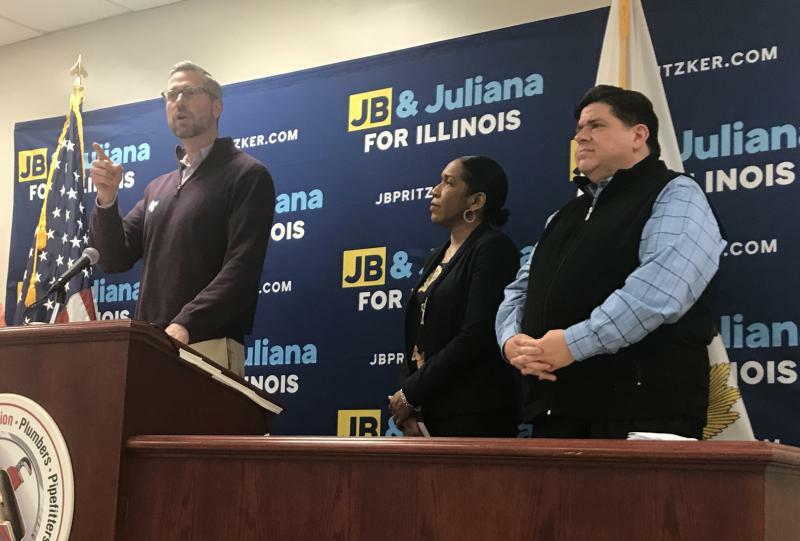 Biss is, by some polls, in second place, with Democratic opponent and billionaire JB Pritzker in first, although 38 percent of voters are still uncommitted and the primaries are more than a month away. Biss, however, says he thinks people are ready for a change. “The people are coming to our campaign across the state of Illinois, and I think it makes sense why. The voters of Illinois are being confronted with a choice between a billionaire and a middle-class progressive, and I think that choice is pretty easy for most people,” Biss said. Pritzker, meanwhile, visited Bloomington on Friday to deliver a fiery stump speech at a packed union hall. He was joined by Democratic State Treasurer Michael Frerichs, who has endorsed him in the primary. Biss is a lawmaker in Springfield and has been trying to combat the inaction typically seen during election years. Among changes he proposes as part of his campaign are a switch to a progressive income tax, legalizing recreational marijuana and properly funding pensions. Biss stopped in the Twin Cities on Thursday to pick up the endorsement of the ISU College Democrats, a constituency he says is important not only to the future of the Democratic party, but also to this year’s election. An excerpt from GLT's interview with State Senator Daniel Biss. GLT's full interview with State Senator Daniel Biss. Democratic candidate for governor JB Pritzker stopped in Bloomington on Friday to deliver a fiery stump speech exclusively targeting Gov. Bruce Rauner, looking past the Democratic primary just 46 days away. A State Senator from Evanston is telling McLean County Democrats they can't allow millionaires to buy the government and use it against the middle class. State Sen. Daniel Biss said the reason the state government is broke is not because Illinois is a poor state. He said Illinois has a lot of economic activity.